I often get emails from followers of our web site suggesting someone I should interview. 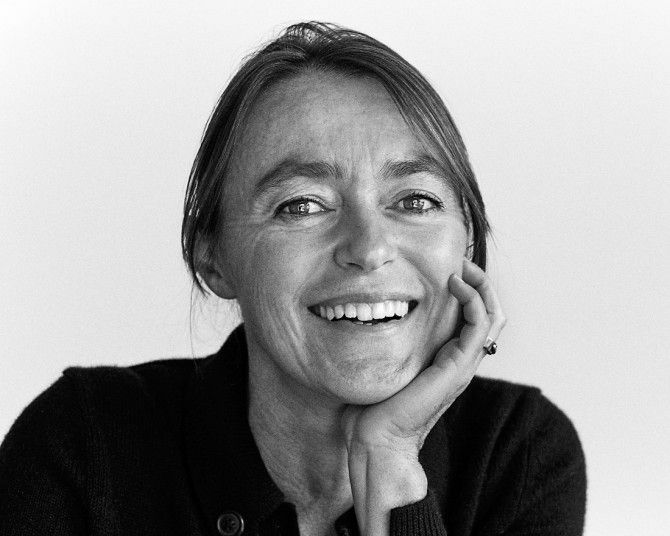 One sometime ago was from a friend Michael Steele who suggested Emmanuelle Bekkers, from Bekkers Wines at McLaren Vale. I had heard of Emma and knew she came from France, but I did not know her. We have just returned from France. Each time I visit, my interest in the way the ‘New World of Wine’ knits in with the ‘Old World’ deepens, so I thought when I returned home I would give Emma a call to explore the connection. Her story is quite fascinating and after the interview her husband Toby showed me their wines which were very good indeed. Apart from the reds which I loved, I really enjoyed Emma’s Premier Cru Chablis and the story behind it. The way Emmanuelle and Toby work together really does illustrate the new and the old, but foremost it’s about their combined passion and care for what happens in the vineyard. You met Toby in McLaren Vale tell us about it. I did all my training as a winemaker in France. I worked there for Domaine de la Baume which at the time was owned by Hardys. 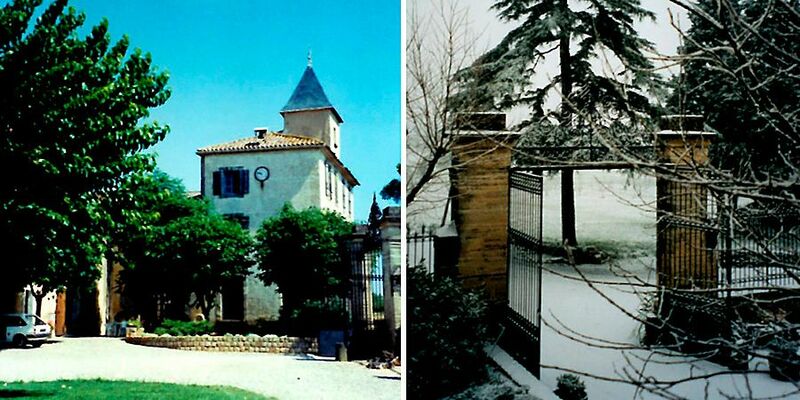 Domaine de la Baume, and the front gate in the snow. Bill Hardy was in charge. It was the heyday of the wine industry there was lots of money, lots of hard work and lots of parties – it was fantastic. In 1995 I asked if I could do a vintage in Australia. They said yes so I came and did a vintage at Tintara with Steve Pannell. Toby was there doing all the vineyard sampling with Steve. I knew very basic English and I was trying very hard to learn how do you say it ? ‘The Lingo ‘. I remember one day I was near a truck, a pump and a tank and the cellar hand who I was working with yelled out to me ‘“turn the bugger on full-bore”, I thought what’s a bugger, what does full-bore mean ? I know now, but then it was interesting. I was the only girl cellar hand at that stage and I wanted to learn winemaking, but I also wanted to see the region, so I asked one day if I could go grape sampling. I don’t think Toby was very impressed, but I went sampling with him. 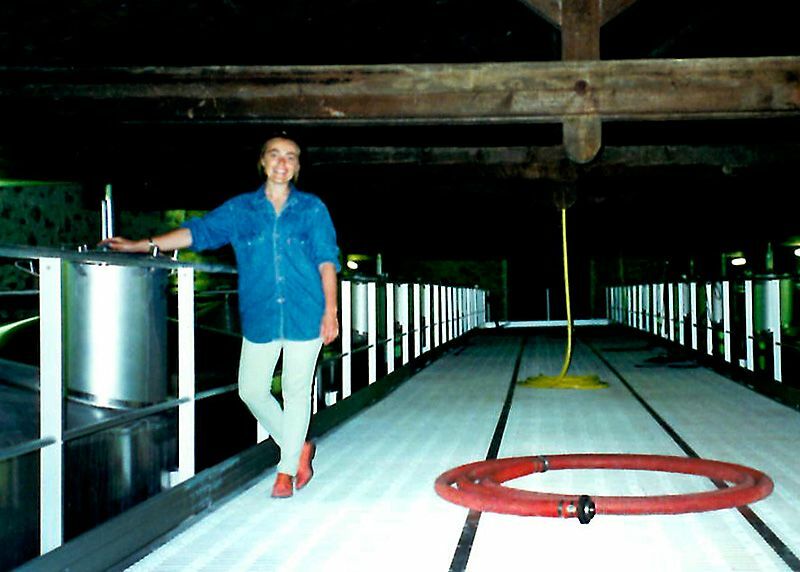 Emmanuelle during the 1995 vintage at La Baume in France. I discovered how beautiful McLaren Vale was; going into all those old beautiful vineyards, I realised how similar those rolling hills with the sea as back ground were to my home in France. I fell in love with the region. When I went back home to France my mother could see that I was emailing and writing and phoning Australia all the time, so she said why don’t you ask to do six months. You’ll learn better English, and you will see if living with Toby in McLaren Vale is what you want to do. They said yes and I did six months in the white wine department with Tom Newton and Ed Carr. Hardy’s then sponsored me to come out here to live. There were not many female winemakers anywhere then, it’s the same all over the world whether it’s Europe or anywhere else, it’s really a male dominated industry. One thing led to another – I think the region and of course Toby was a good match for me. I’m very happy here, we now we live by the beach at Aldinga with our two kids Alice and Felix and the dog Smudge…. What was your early life like in France ? We lived in Toulon, a port city on southern France’s Mediterranean coast. My father was a chemist and mum helped him with the pharmacy. I have a younger sister, we had a very easy life. For me school was no problem, I was very much into sport, windsurfing, scuba-diving, skiing those sorts of things. 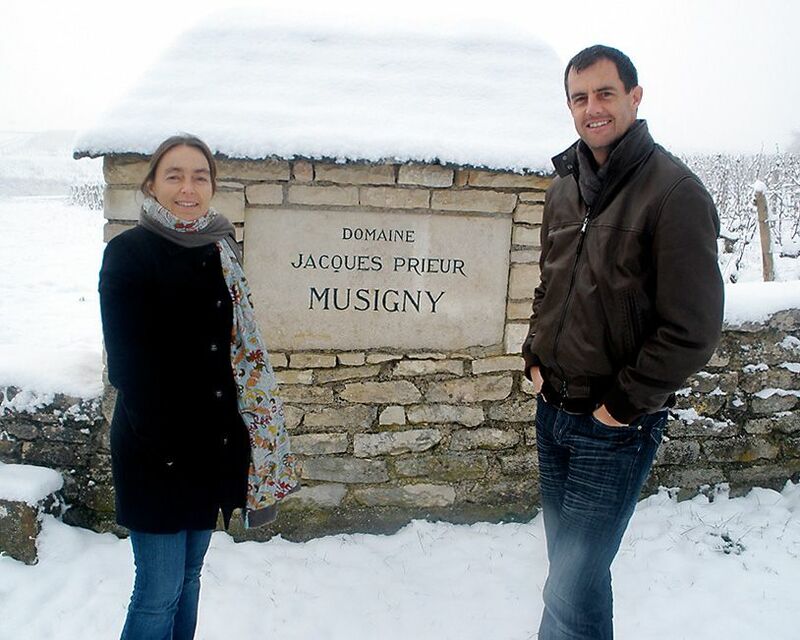 Emmanuelle and Toby in the Domaine Jacques Prier Vineyard in Musigny, Burgundy, where they worked there for a while. When I was young and even as a teenager I had no interest in wine, none at all but my dad loved wine and my grandfather had a vineyard. I studied pharmacy and went on to do a degree in biochemistry. In France you needed to study pharmacy or biochemistry, before you became a winemaker. In the fifth year you could switch to oenology. I couldn’t see myself as a biochemist so dad said why not try winemaking, it’s applied biochemistry in a sense, it’s changing grapes into wine, so I said I’d give it a go. I went to Montpellier, I loved it. Because I wasn’t from a winery background I learned everything new. I always remember the first tasting course we had, it was cordial in small black glasses. We had 20 of them all lined up and we had to say what they were. I didn’t drink cordial and had never been in a winery. I loved cooking so I just said what they reminded me of e.g. that’s citrus, blackcurrant etc, whereas the kids that were from a winery background tried to be a lot more complex and analyse it all too much. So for me it was a beautiful discovery and I ended up completing my winemaking degree and loved it. You travel to France regularly, how often ? Early on I went back and worked every vintage. I did double vintages I think for nearly 12 years. Now our kids are older I go back every year for the vintage period. 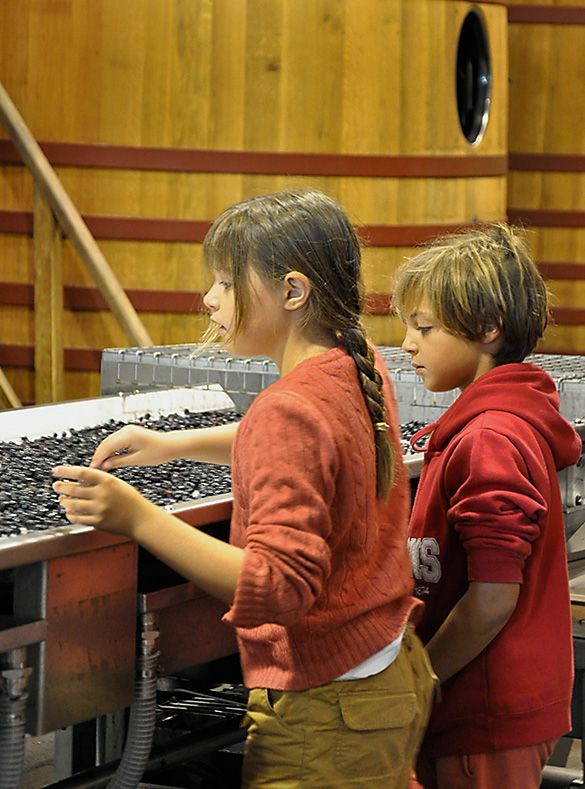 Alice and Felix sorting at VCC Vieux Chateau Certan. I don’t work the whole vintage, I see my friends and family. The kids come with me most times, Alice is 14 and Felix is turning 12. Mclaren Vale is such a great area I could easily get isolated here just by immersing myself locally, but I like to keep in touch with everybody back home, so I make sure I go back every year. This year the whole family is going for seven weeks, we’ll stay with mum and then I’ll travel to keep in contact with business associates and friends. You have an appreciation of the timeless and traditional methods in France, how does that compare to McLaren Vale or Australia in general ? It’s not an easy question because I don’t think there are many secrets any more. I’ve travelled with so many winemakers over the years, we share and exchange our ideas on technology, on methods, on everything. For me, the thing that separates the best producers anywhere is related to the luxury of time. 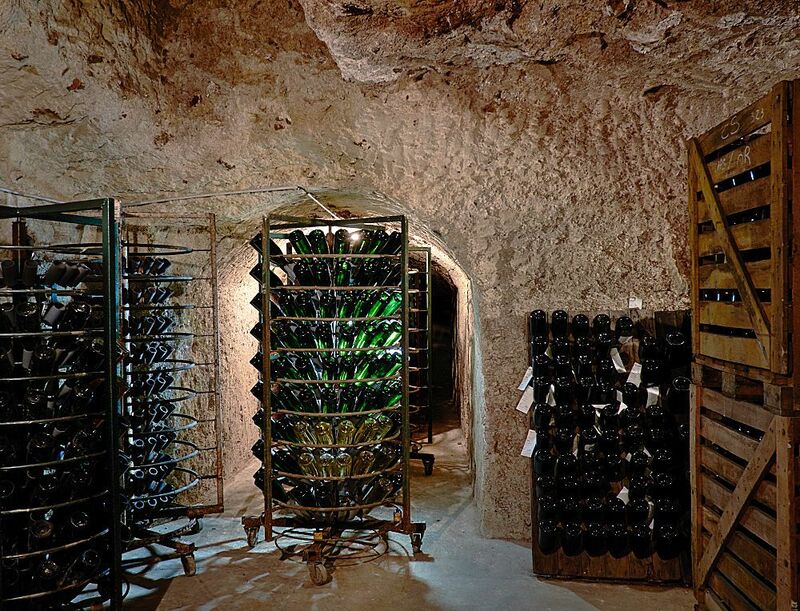 At the premium end there is no time restraint in the sense that the winery and the winemaker have patience, because they have the luxury of time and space. The best producers have one tank for each parcel of fruit, it has a single purpose to achieve the best wine from that parcel. There is no pressure to empty the tank early to be refilled. You can get the best out of the grapes without rushing, because of the constraints of time, tank space or money. When you are not pressured, you can handle the fruit gently to retain desirable flavours, aromas and textures, but more importantly to leave behind those that you don’t want. The result is a wine that is much more sophisticated. However in Australia you have a lot more freedom, there’s a lot less regulation than we have in France. Everyone thinks all the wine in Europe is good, let me tell you it’s not all good. I think twenty years ago things changed significantly, especially with the Australian and New Zealand winemakers who started working there. They brought in some new world cleanliness to an old world system. The industry has become very global, we don’t all do the same but we all have the same knowledge. How would you describe your wine making in layman terms ? 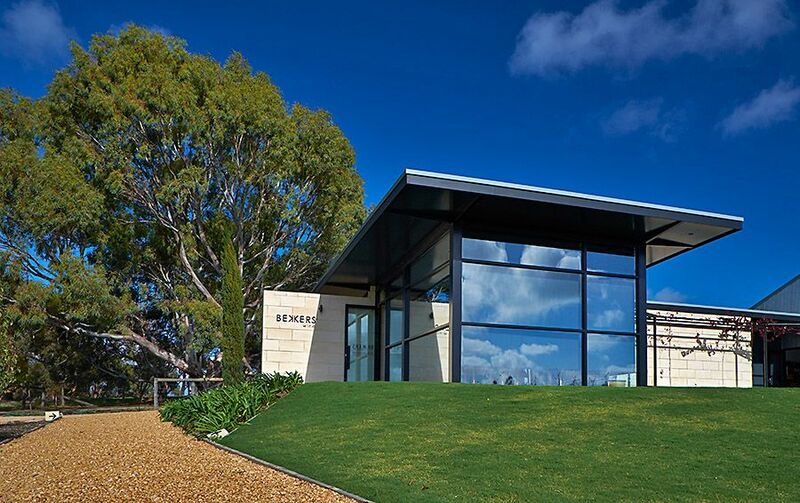 Our purpose is to create a fine wine emblem for McLaren Vale, so we need the very best of facilities. We are very lucky to be able to make our wine at Yangarra. The sorting table is fantastic, it’s one of the reasons we go there. Emma and Toby barrel sampling at Yangarra. Photo © Don Brice. I have a great relationship with Peter Fraser and the winemaking team. I feel like we share a lot of similarities in our approach. We like to pick early. I like a very slow and very long fermentation. I don’t add any yeast and that slows down the process. We use cold temperatures and long periods of time. For me that’s the difference, the attention to detail and the time, it is what makes the difference between a good wine and a great fine wine. 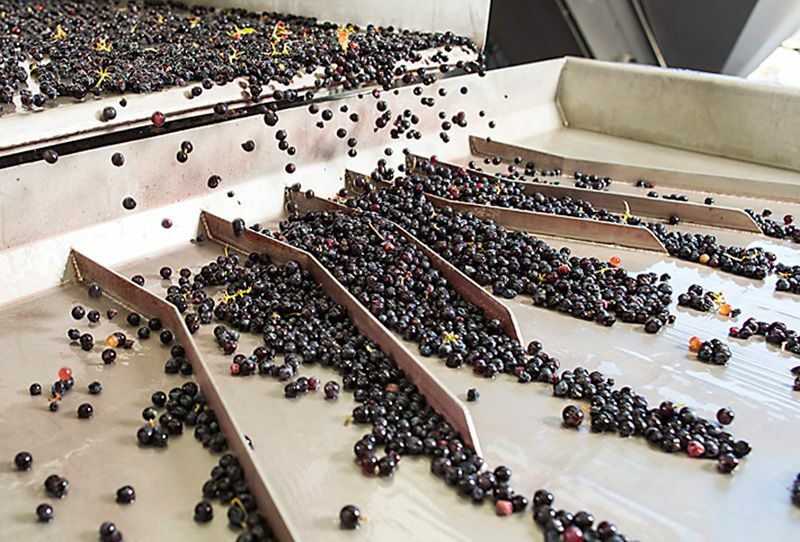 We believe clarity of fruit and soft silky texture is the key to fine wine, that’s why we use the sorting table. It’s not for removing diseased fruit, in McLaren Vale there is rarely disease here, but if you’ve got hot weather you can get raisined berries. I don’t want that syrupy, porty flavour, I want the fresh berry flavour. 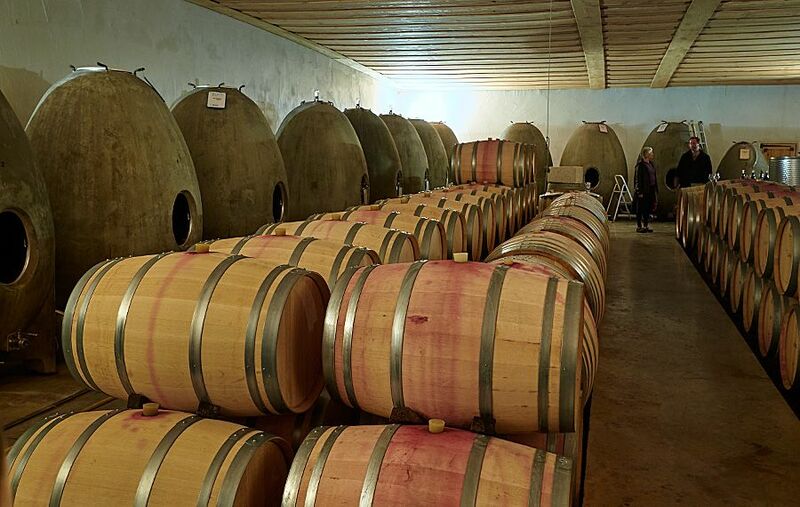 After fermentation oak handling and cellaring conditions are critical. We use large format oak and very little new oak. 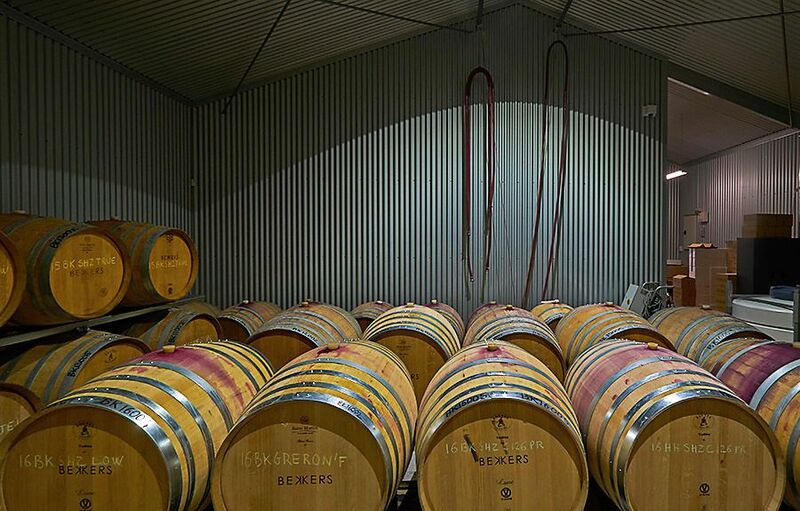 We have invested in a climate controlled barrel cellar at the Bekkers Tasting Room which allows me to control every step of the maturation process. 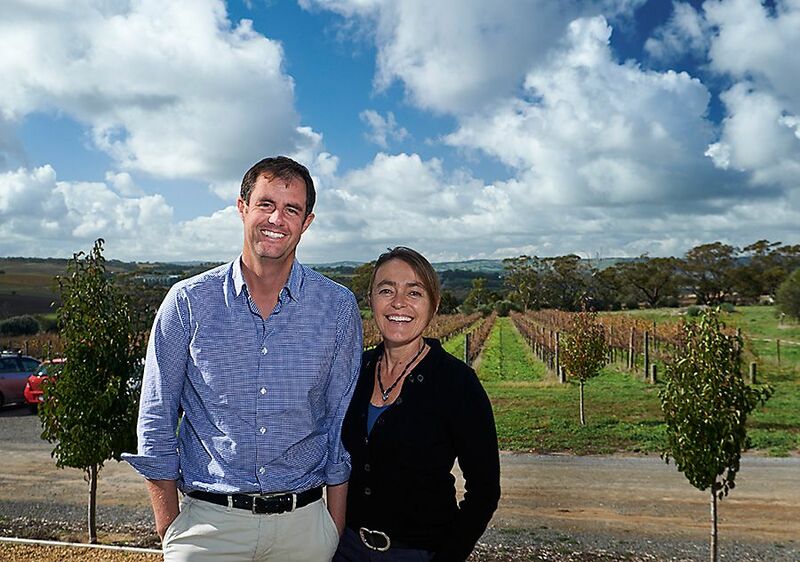 Toby operates his own viticultural practice and you created your own company Oenology in 2009. Together you run Bekkers. You have a young family, how do you fit it all in ? I have slowed down quite a bit since the kids have got older. Up until then I was living on adrenaline. I had always wanted to build a winery, and was given the opportunity to build and manage a 20,000 tonne winery at Langhorne Creek. I put together a fantastic team to run it. My mother used to fly out to Australia each year for three months during vintage. Together with my mother-in-law they helped us a lot. I also had a great nanny. You needed one, I love my kids to bits, but when they were little they were a lot of work, in vintage it was difficult, almost impossible. When they started to grow I thought I was missing out too much, so when they were eight or nine I wound everything back. 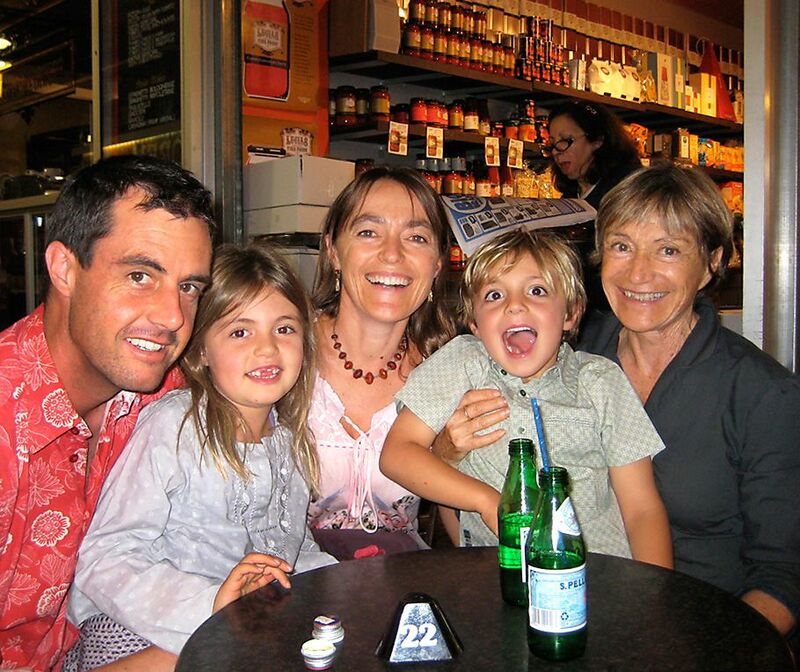 The family with Marie-Helene, Emmanuelle’s mother in the Adelaide Central Market. In 2010 the whole family went to France for a year. We spent that time deciding what we really wanted to do. I realised what I loved was actually making wine, getting dirty, doing everything from ‘go to whoa’; you need to be able to do that to get the best. I wanted to go back to making great wine with Toby, so we started our own label, Bekkers Wine in 2010. One day I’d love to build a small winery but it would be very small; a little shed with good refrigeration, a sorting table and a beautiful basket press. Our aim is to grow to a maximum 2000 cases, we are at 700 now so it’s very small. We sell mainly to a small group of followers on our allocation list. We know them all and that is what we really like about it. Small french woman and big barrel. Photo Toby Bekkers. Toby was once quoted as saying “You’ll hear people say McLaren Vale sells world class wines, but then we turn around and sell them for 20 bucks”. What style wines do you think McLaren Vale produces that can be world class ? 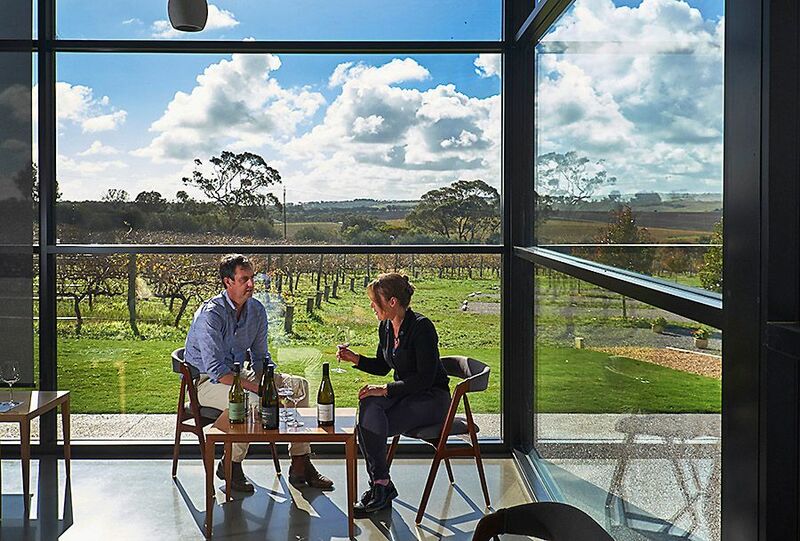 McLaren Vale has everything to be a world-class region. We have beautiful and diverse soils, fantastic climate, passionate people. 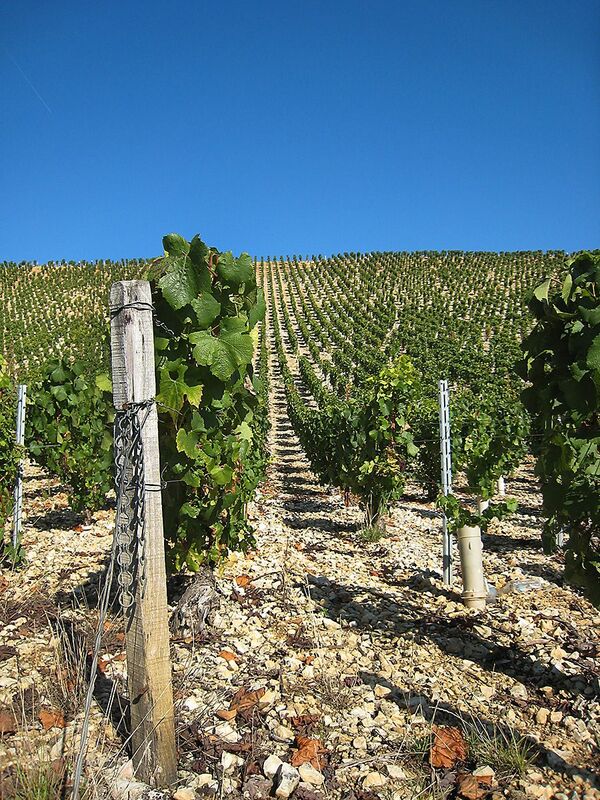 It’s a region that can easily produce generous wines with lots of flavours and aromas. But the difference between them and great fine wines, is texture and balance. 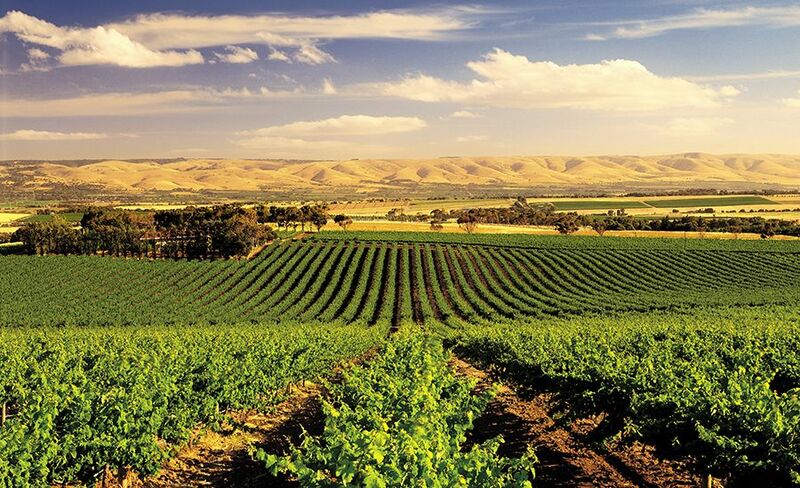 McLaren Vale is a very diverse region. Some areas will produce rich and deep flavoured shiraz, while the more elevated areas will give you more elegance and floral aromas. Select the parcels well and you will create very complex yet elegant shiraz with silky texture. The winemaker has to harness the generosity but dial it back a touch and look deeper for texture and structure. There are some pockets of Shiraz and Grenache that are absolutely world-class. The Grenache wines from these old and not so old vines are simply unbelievable. For me Grenache seems to suit the region very well. 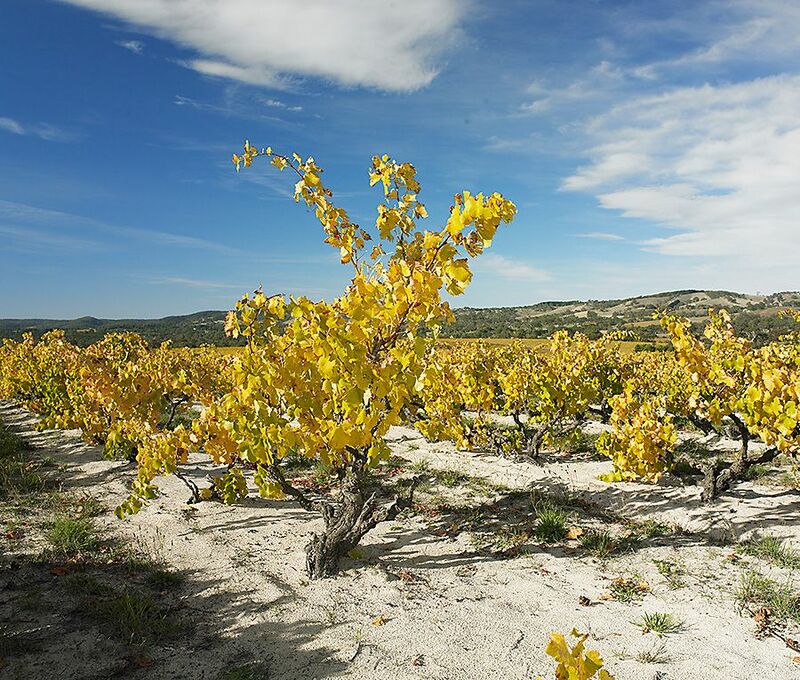 For winemakers Grenache is a difficult child, it’s difficult to grow and it’s difficult in the winery. It needs to be ripe, but if it’s too ripe it’s porty and not elegant, if it’s too green it’s hard and sour. It’s a difficult grape to work with but that’s what interests the winemaker because every year is a challenge. When you get it at its optimum it’s a beautifully textured wine. It has all the layers of red fruit and spice. Compared to Shiraz, Grenache has a far greater ability to express the vintage as well as the site. 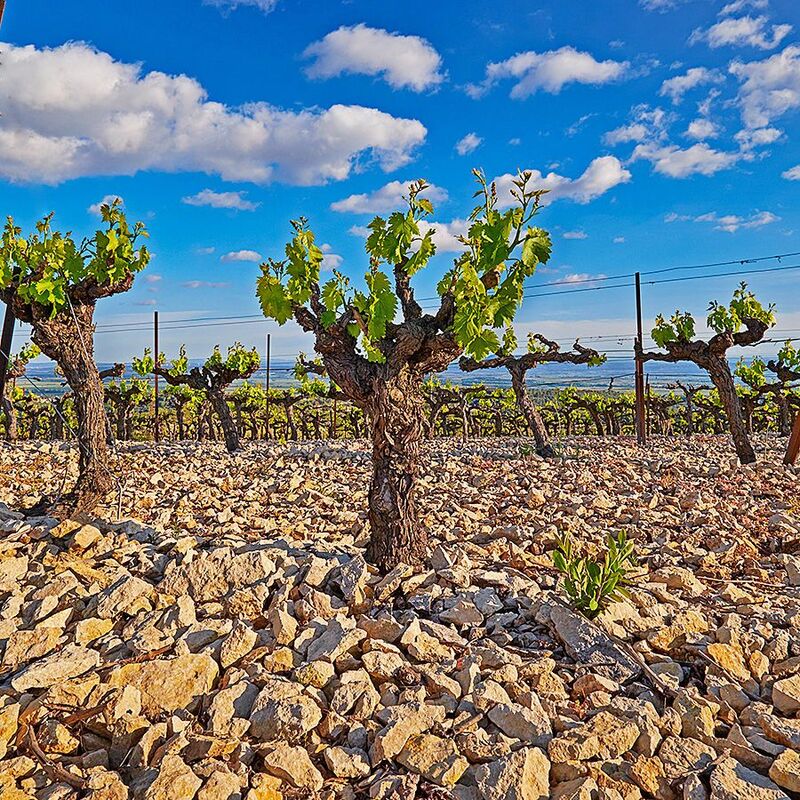 As a region I believe we have the potential to fulfil all the publicity we are getting to grow world class ‘Old Vine Grenache’. You charge $10 per head for tasting, how is it received by the public ? For us we had to go down that path because our production is so small. Most of the people who come here appreciate the time we spend with them, they can ask as many questions as they like. It’s always Toby or myself and I think they appreciate that intimacy and the access to knowledge. Three mighty fine reds. Photo : Milton©Wordley. But in saying that, it’s not for everybody, however most of the people who come to our Cellar Door are prepared to pay. It is something the whole region is slowly considering. It’s a bit like when you go to a restaurant would you say, “Can I please try the three entrees and then I’ll decide which ones I will buy”. You wouldn’t think of it…. It’s a small fee and I think it makes people aware that it’s a product that takes a long time to make and we should respect that. Primo does a very good structured tasting, and I must get up to Shaw and Smith’s in the Adelaide Hills, I’m told it’s also very good. Your white, Bekkers Premier Cru Chablis, sounds like a very interesting story, tell us about the back ground ? It’s a bit of a quirky thing, in 2010 when Toby and I were brainstorming our next step and creating Bekkers, we knew we would need a white wine. For me McLaren Vale does great reds, but it is a little more challenging to grow fine whites. 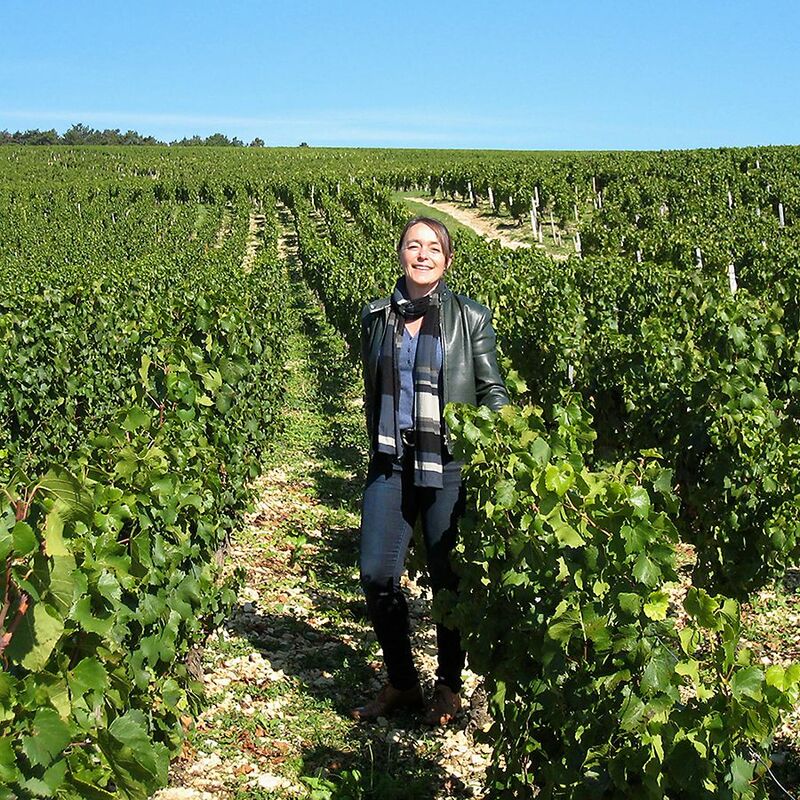 Emmanuelle in one of the vineyards she sources fruit from the Vaillons vineyard in Chablis. Being French, a top end fine white wine had to be Chardonnay. I didn’t feel McLaren Vale Chardonnay was right for what I wanted to make. 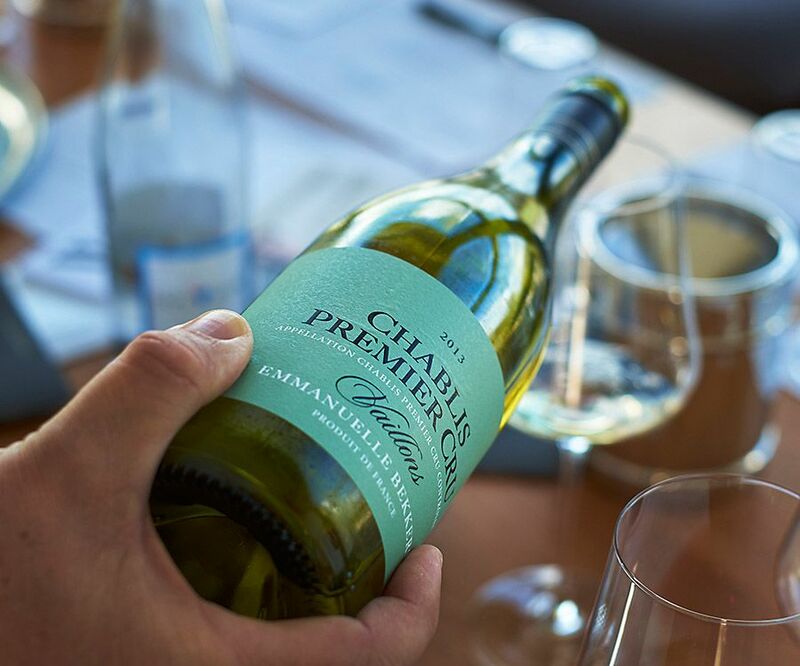 So when we were in France thinking about what we would do, at every lunch and dinner more Chablis appeared on the table. I managed to convince Toby we should produce a beautiful Chardonnay, one that had beautiful texture and clarity of fruit, that’s what I wanted to make. I also thought it should say something about my home, so I wanted it to be French. I spent a lot of time selecting the right vineyard. I wanted it to be Premier Cru, I wanted minerality with beautiful fruit behind it and of course texture. Having done all the tasting. I decided on two possible vineyards Les Vaillons and Les Montmains. So with my connections in Burgundy I did a lot of walking and ringing around, explaining that what I wanted was to establish a long term relationship and have access to the same fruit each year. It took me quite a long time to convince people. I have a great friend working with me now and have established that beautiful trusting relationship. I go there for vintage, but then I rely on her and her team to relay back to me how the wine is maturing. 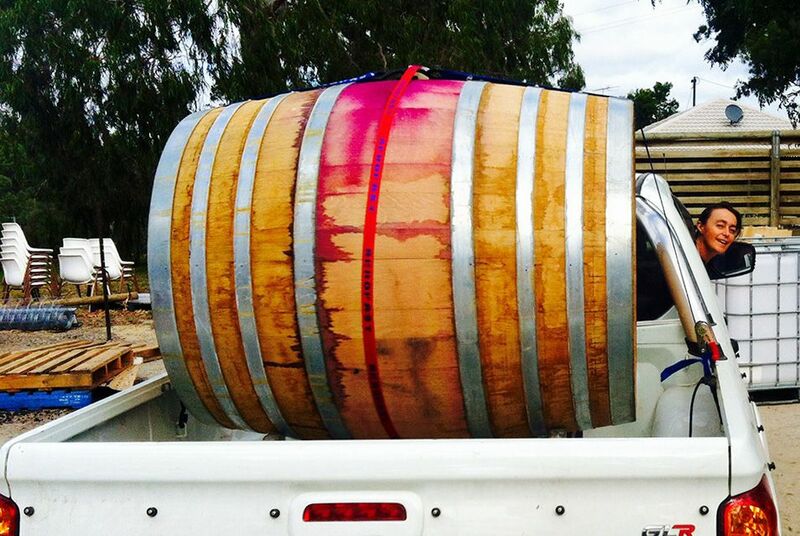 We bottle it in France and ship it back to McLaren Vale. I don’t sell it in France. The French market is very tough. You know French people can be difficult at times, they think they do best at everything, especially wine. I need to tell my story as well, I’m French so our white is French. As a French wine maker in Australia, I hear that you do sell an Australian red wine in France, that must be very satisfying. Yes we do, and I’m very proud about it. 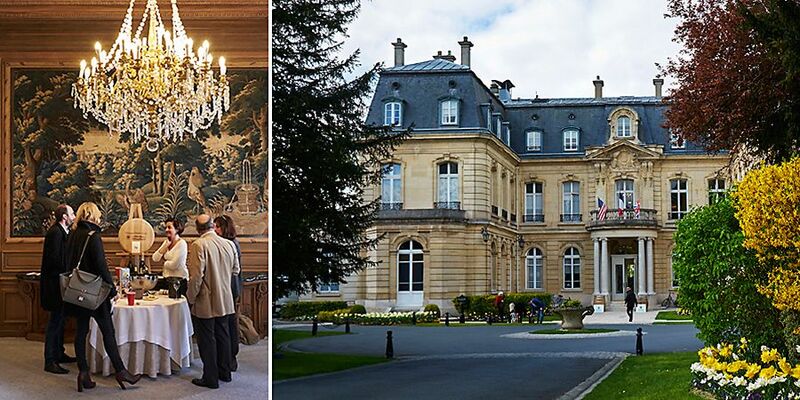 We recently hosted the Sommelier of Le Parc, the two Michelin star restaurant of Les Crayeres in Reims, Champagne. He loved our reds and bought two of them for the restaurant. 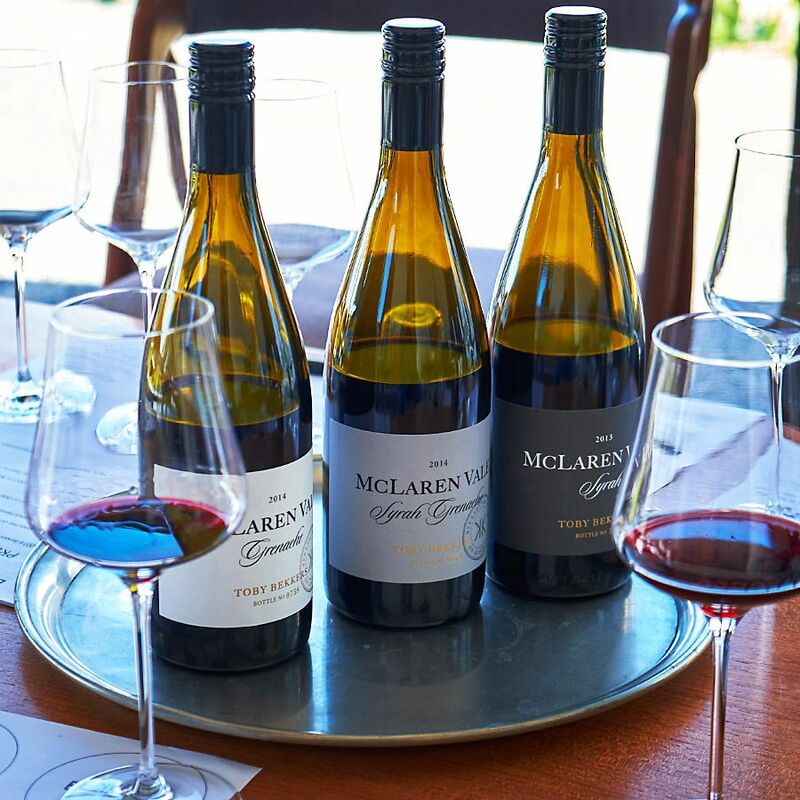 It is great to be represented in such a world class restaurant, it makes me realize that we are on the right track; we’re right to have faith in McLaren Vale. 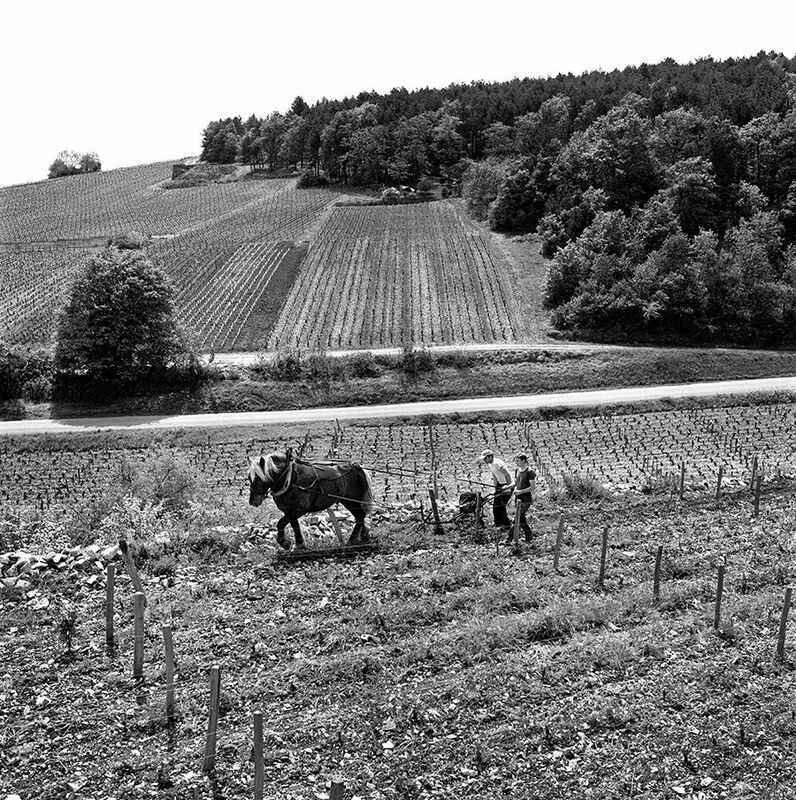 Organic and biodynamic viticulture, in your opinion why is the vineyard so important ? As a winemaker you are only there to unveil what the grapes have to offer. Organic and biodynamic are great ways to farm but what is most important for me is to respect the soil. A healthy soil will create biodiversity which in turn will sustain a diverse population of microbes and insects creating a balanced environment. A healthy vineyard will produce great quality fruit. Healthy fruit is most important, if you start with something average even if you work very hard it won’t produce a fine wine. So for me the vineyard is the most important part. Farming organically or biodynamically is preferable but as I said I’m not a fundamentalist. We will often work with a new parcel that’s managed conventionally because the site is great and then start to modify the farming. Rigid rules often don’t work, for example a vineyard lacking water because you’re against irrigation is a bit silly. You need to maintain a healthy vineyard. If that means you need to add a little bit of moisture so the vine can maintain its healthy state and balance that’s okay. I think balance in all things is important. Any particular favourite wine styles ? and are Toby’s similar ? Bubbles, I have to say Champagne, because for me it’s a wine that is so complex and needs so much patience. 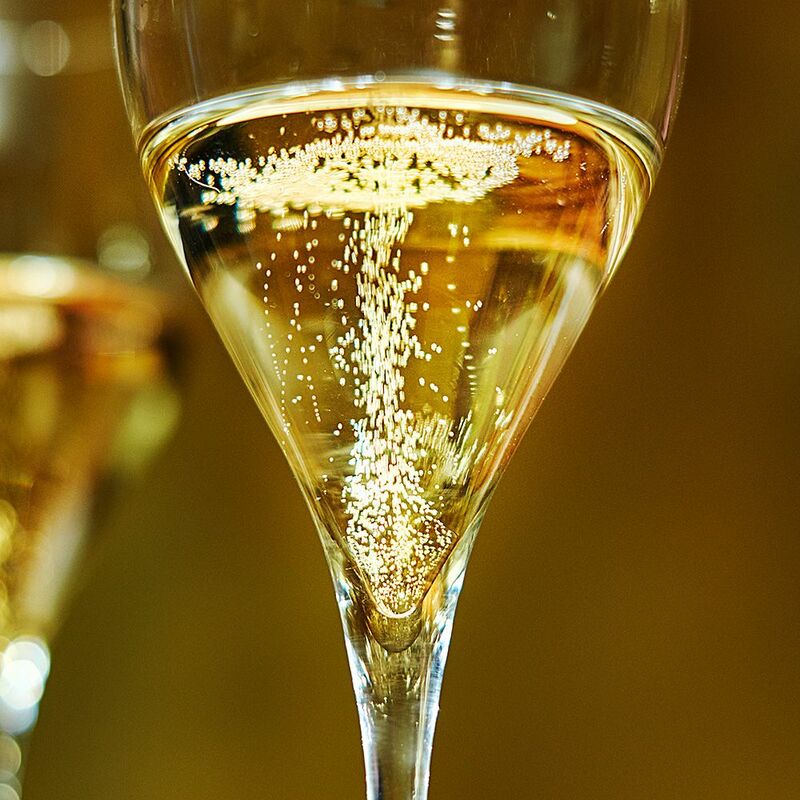 The great champagnes have such a tiny percentage of very old wine blended in to create the complexity they have. It takes so much patience from the winemaker. I also love Grenache, it keeps me thinking. Toby also loves Grenache, that is his passion, even though he really enjoys Shiraz, but for different reasons. It’s one thing that we don’t sing the same tune to. I know how hard it is to make a great Manzanilla, I just don’t appreciate it. Any thing else you would like to say ? I think I should say that I’m still French. 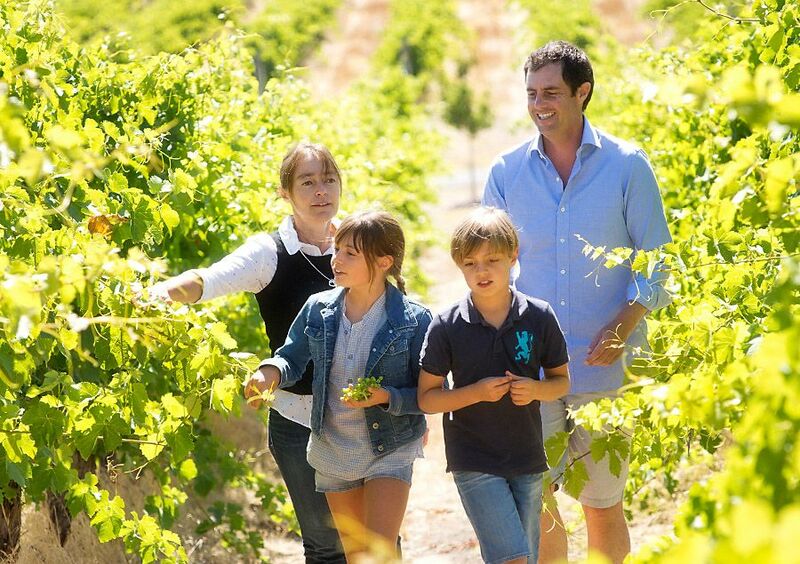 I was born there and France is still my home, but I’m so incredibly lucky to live here in McLaren Vale. I think people in this region should be a lot more proud of it. We grow fantastic grapes, create beautiful wines, it’s a beautiful region, beautiful beaches, the local produce grown here and the food is unbelievable, this region is absolutely fantastic. I think we all take it too much for granted. I travel a lot, but every time I come back to McLaren Vale, I think it’s fantastic, it is a region to be proud of. ← Previous Post: Hiro Kusuda : Kusuda Wines Martinborough.